Francesco Lotoro, a music teacher, composer and pianist, tracked down thousands of songs, symphonies and even operas composed in Nazi concentration, forced labour and prisoner of war camps in Germany and elsewhere before and during the second world war. Lotoro’s search for the lost music involved scouring bookshops and archives as well as interviewing Holocaust survivors. 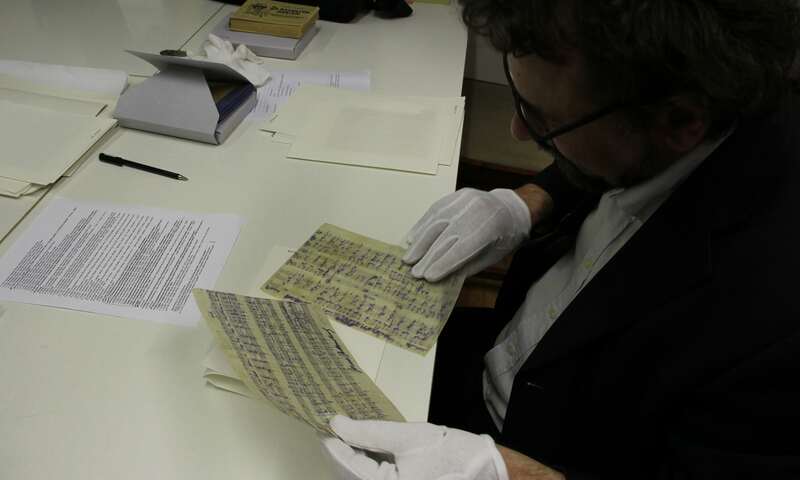 He accumulated about 8,000 pieces of music including scores written on scraps of scavenged paper, toilet paper and newspaper, composed in allied as well as axis camps. Some of the music will be performed for the first time. It will be heard at a concert by Israel’s Ashdod symphony orchestra in Jerusalem among events marking the 70th anniversary of the founding of the state of Israel. Among the pieces to be performed for the first time in public is a song written by the Jewish musician, author and poet Ilse Weber, who worked as a nurse in the hospital at Theresienstadt concentration camp and taught some of her compositions to the children in the camp. When Weber’s husband, Willi, was deported to Auschwitz in 1944, she also voluntarily transferred with their young son, Tommy. The family were all gassed.